Driver Kills Teen In Crash In Winter Beach | Schuler, Halvorson, Weisser, Zoeller & Overbeck P.A. An 18-year-old Winter Beach woman died after being involved in a crash a week prior with a driver who police say may have been distracted by a cell phone call. The unnamed driver, 31, told police that he took his eyes off the road for three or four seconds when his cell phone rang. As he was doing so, the 18-year old was backing her Toyota Camry out of a driveway. The driver smashed into her passenger side. 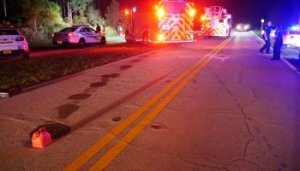 The Post reported that police found no skid marks at the scene to suggest the driver did not apply the brakes before hitting the 18-year old. The woman was taken to a nearby where she remained in a coma until she passed a week later. Police say the male driver wasn’t impaired during the incident and no charges have yet been filed. The 31-year-old was not injured in the crash. Police are still investigating.